Another Member of Legislative Assembly (MLA) from YSR (Yuvajana Sramika Rythu) Congress Party joined Telugu Desam Party (TDP) on Saturday. 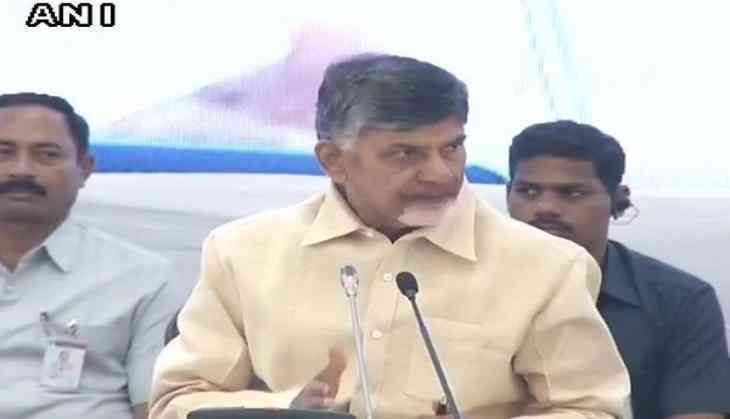 YSR Congress Party MLA from Rampachodavaram, Vantala Rajeswari, joined TDP in presence of Andhra Pradesh Chief Minister Chandrababu Naidu in Amaravati. With this, the number of YSR Congress Party MLAs who have joined TDP reached 22. Speaking on the occasion, Rajeswari said, "I am joining TDP after witnessing the development of AP under Chandrababu Naidu's leadership." She further said that YSR Congress Party (YSRCP) chief Jagan Mohan Reddy's decision to boycott Assembly session is wrong. Jagan Mohan Reddy is Leader of the opposition in the Andhra Pradesh Legislative Assembly and the YSRCP is the only opposition party in the Andhra Pradesh Assembly. The YSR Congress party has announced it will boycott all forthcoming sessions of the Andhra Pradesh assembly if all of its MLAs, who defected to the ruling Telugu Desam Party, are not disqualified immediately. The winter session of the state assembly is beginning on November 10.